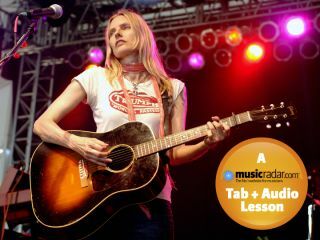 Aimee Mann's long career in the music industry has seen her garner repeated critical acclaim through Grammy nominations, Oscar nominations (for her soundtrack to the film Magnolia) and being in the running for a Golden Globe. Mann's skill at her craft is perhaps best evidenced by her lyrical abilities - as with artists like Joni Mitchell and Leonard Cohen her songs are more like poems set to music and feature the unique combination of introspective lyrics coupled with soaring melodies. Her guitar playing is full of solid, well placed chords - nothing flash but always the right part to sit against her lyrics and vocals, which take centre stage. 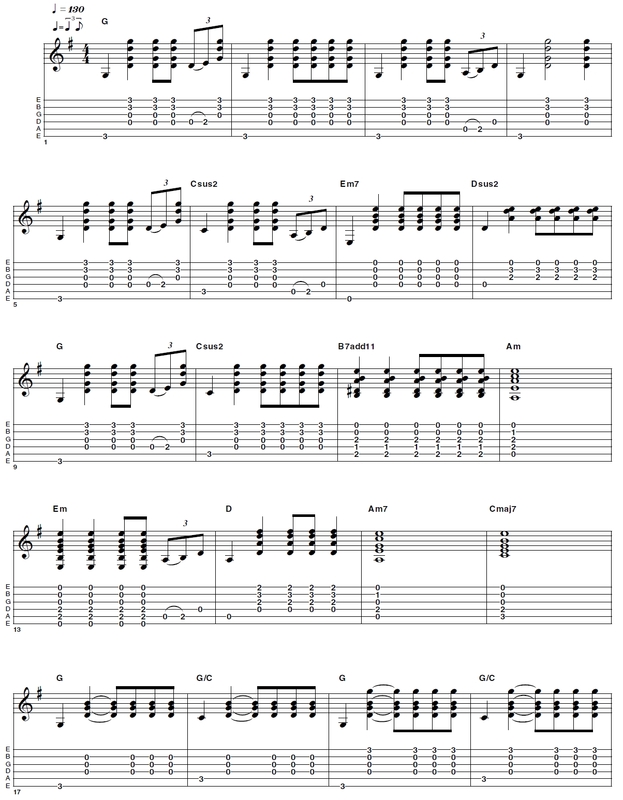 Although not technically difficult, this style of playing has more subtle challenges - can you keep tempo when you are unaccompanied? What about if you try to sing along? And how about the awareness of dynamics, the ebb and flow of a performance that can bring life to a seemingly simple, repetitive part? Playing like this is an art in itself. Aimee's unaccompanied solo pieces often have a slight swing to them so getting that into your playing - without having to think about it - is an additional challenge. Overall, don't be heavy handed with the strumming hand as this will reduce your dynamic range, and aim for clean, clear, perfectly-in-time chord changes. [Bars 7 and 8] Simple alterations to chords - making them minor 7ths or sus2 as here - can add more colour to your music. 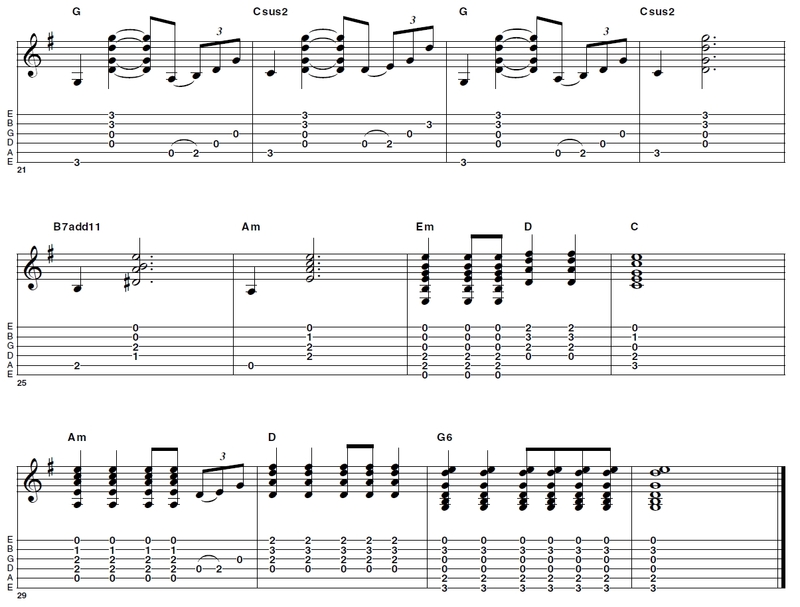 Make sure that you can play these types of chords in all keys and positions. [Bar 11] The non-diatonic chord here, a B7add11, is a quirky sound which characterises some of Mann's writing. It's unexpected but if you take it to the right place it works out fine! [Bar 15] The best singer-songwriters understand the value of space - you don't always have to be playing something but try sustaining these chords for exactly four beats before you head on. [Bar 17] A different rhythm here which sees you playing on the off beat (beat 3); again make sure you are hitting this in time!